Flip-flops are your go to footwear when you are in a mood to wear casual clothes, as they add a perky touch to whatever you wear. What’s more, after those five days of wearing those dreadful, confined and uncomfortable formal shoes to work, all you would want is to let your feet breathe, and wiggle your toes freely. And what could be better than a pair of slippers and flip-flops to give you that joy. Flip-flops are a must-have addition to your collection for numerous reasons. Whether it is going for a casual event with your friends, going to the nearest grocery shop to buy your daily needs, or just relaxing at home on your day off, flip-flops prove to be a useful footwear you can resort to. Choose a colour or pattern that will suit you, and whichever seems comfortable to buy it online. Come what may, blistering heat or misty rain, drape your slender feet with flips flops in eye-popping colours, step out of your house to catch a breathe of fresh air and let the cool wind blow through your hair and soothe your soul and feet with its magical touch. No matter whether you are a morning or an evening person, whose day is incomplete without a stroll in nearby lanes for healthy lifestyle, but actually, it is a more excuse to catch up with the happenings and gossips of your locality with the group of your friends gathered around the nearest tea stall. Well, during such strolls, put on your men's flip-flops that happen to not just be trendy but comfortable too. Flip-Flops widely known as the light airy footwear are the first love for those people who do not like to confine and suffocate their feet with shoes, sandals or any other kind of footwear. 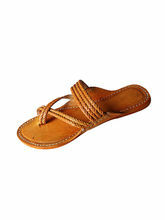 It is inevitable to buy flip-flops online, especially if you are planning a vacation on a beach. 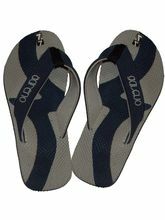 With flip-flops coming in various designs and colours, they are popular among people of all ages who seek comfort while walking. 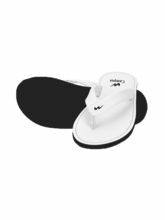 On Infibeam, you will find a wide collection of online flip-flops from reputed brands like Adreno, Bacca Bucci, Levitate, Woodland, Papa and many other such brands. We also have an immense collection of ethnic Kolhapuri Chappals for all your festivities and celebration gatherings. 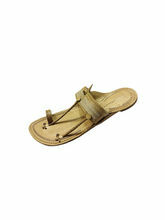 We also possess a great collection of sandals, shoes, mojaris and much more that shall fulfil all your needs.